One of the major changes brought about by the Nineteenth Amendment is the concept of good governance envisaged through the appointment of independent commissions to oversee appointments, transfers, and promotions and disciplinary control of the public service, the judiciary, and other arms of government administration. The overt intention to uphold press freedom, observe the rule of law, and non-interference in judicial proceedings augurs well for the future and demonstrates that the country is moving towards a new political culture and governance. The remarkable independence and integrity shown by the Elections Commissioner in the conduct of the 2015 elections illustrates the success and merits of good governance. Viewed in this light the role of the public service under the new government of President Maithripala Sirisena and Prime Minister Ranil Wickremesinghe is likely to undergo significant transformation. Of the major factors outlined earlier, the principal issue of politicisation needs to be neutralised if the public sector is to regain its original position of a relatively more independent arbiter of development administration. The Nineteenth Amendment has restored more powers to the Public Service Commission by removing Cabinet control of functions related to recruitment, transfers, promotion, and disciplinary control. The PSC owes its position to the Constitutional Council on whose recommendations Commissioners and the Chairman are appointed by the President. The Constitutional Council has been empowered to recommend to the President ‘fit and proper persons’ for appointment as Commissioners not only to the PSC but to all other independent commissions established under the Nineteenth Amendment. The Constitutional Council consisting of nine members is therefore expected to play a major role in ensuring good governance. The composition of the Council includes the Prime Minister, the Speaker, the Leader of the Opposition in Parliament, and five persons appointed by the President on the nomination of both the Prime Minister and the Leader of the Opposition, of whom two members shall be Members of Parliament. Whether the composition constitutes the right mix of persons and whether there should have been more representation from eminent persons of dignity and integrity and civil society are issues that may warrant further discussion. It is likely that these issues may be subjected to further review by the new government. The Nineteenth Amendment lays down that the PSC shall be responsible and answerable to the Parliament. These changes are expected to give the PSC greater independence in carrying out its functions. However, whether it would provide adequate safeguards against political interference would depend on the objective disposition of the holder of the office of President, as he, if he so desires, could tacitly overrule recommendations of the Constitutional Council. 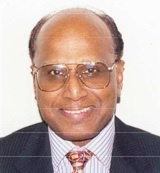 The Constitutional Council in 2002 recommended candidates to the Election Commission; however President Kumaratunga rejected the nominee for Chairman to the Commission. 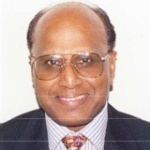 Whether President Kumaratunga had powers to reject a recommendation made by the Constitutional Council had not been subjected to any legal scrutiny. Therefore, how the proposed changes would be implemented in practice and how they will impact on the morale, efficiency, and effectiveness of the public service is yet to be seen. It is hoped that the composition of the Constitutional Council under the Nineteenth Amendment would provide adequate checks and balances to lessen, if not altogether eliminate, political interference in public service appointments and promotions. Modern public administration is increasingly linked with policy-making and to that extent interventions of Ministers and their advisors in administration cannot altogether be ruled out or considered unhealthy as evident from the experience of many developed countries. Governments in developed countries tend to emphasise accountability and the new public management agenda compared private sector performance with that of the public sector and wanted the public managers to deliver the objectives set for them by governments. Unlike in Sri Lanka, public managers were held accountable for results and this has been the essence of public sector practices in New Zealand, Australia, and the UK. In countries such as the UK and USA, governments use various forms of managerialist strategy to influence the ways in which civil servants carry out their tasks. Despite claims of impartiality, senior civil servants are goaded into doing things on the basis of ‘duty to deliver’ and in the ‘public interest.’ The invocation of a duty to deliver under the last Labour government, for example, was intended to promote an entrepreneurial ‘can do’ attitude towards realising the government’s objectives rather than objective analysis or debate about their merits. As Christopher Pollitt and Geert Boukaert have noted, “The administrative culture of the British state is conventionally understood to be guided by the notion of the “public interest”, in which government is regarded as a necessary evil that should be hedged in and held to account as much as possible”. The UK, along with Australia and New Zealand, has seen more radical and rapid changes, turnarounds, and renewals in the reform of the public sector than other developed countries. This has to be understood in the emerging context of a welfare state handling several interrelated development initiatives where people, performance, and outcomes matter, and fulfilment of ‘public interest’ becomes crucial to the political leadership. In reality, a more broad-based separation of politics and public administration is neither feasible nor practical as the post-second World War concept of public administration expanded to include policy-making and analysis as integral components of the governance structure. Policy-making is a ministerial function to which senior civil servants are expected to contribute and in this process the links between public servants and politicians necessarily become close. Closeness to politicians does not suggest political interference but when closeness becomes a tool to manipulate decision-making it becomes interference. This is where the impartiality, judgement, and integrity of public servants are put to test. In the sixties, seventies and even in the early eighties, public servants were able to resist manipulative processes and uphold public service norms and values. The later periods however, saw a deterioration in the kind of relationships that developed between politicians and public servants leading to a breakdown of ethics and integrity in the management of government bodies. The kind of consensual decision-making between the ministers and public servants adopted in the last two decades betray in many instances lack of propriety and impartiality in the discharge of functions allocated to ministries and departments. Can this process be reversed through the changes introduced under the Nineteenth Amendment? The answer is in the affirmative if there is commitment and willingness to change public service behaviour at the highest levels through more transparent recruitment processes, principled procedures for transfers and promotions laid down through the PSC, incentive support schemes for integrity in decision-making, and adoption of elaborate evaluation criteria to determine performance levels. Improving efficiency of the public sector is a priority area that deserves urgent attention if development plans of the government are to be executed swiftly and at least cost. In the USA, Woodrow Wilson, as far back as 1887, in an article entitled ‘The Study of Administration’ wrote that, “…it is the object of administrative study to discover, first, what government can properly and successfully do, and, secondly, how it can do these proper things with the utmost possible efficiency and at the least possible cost either of money or of energy.” This holds good to any country even today although over the last one and a quarter century new concepts such as the New Public Management Concept moulded on the basis of private sector models, have evolved making public servants accountable to their actions. In New Zealand, for example, heads of departments are made accountable to ministers through performance agreements and ex-post performance assessment. Similarly, in Britain, performance agreements between ministers and chief executives of agencies are signed to ensure that success in achieving targets is measured at the end of each financial year. The approach to public administration today is one of engaging staff on a contractual basis for short term to deliver predetermined targets and outcomes and paying commensurably based on results achieved at the end. Although career public servants may be averse to signing agreements based on short-term contracts, the emerging trend may be applicable to new institutions and old agencies where quick results are expected through improved and efficient discharge of functions. The PSC could be used as a lever to propel public servants to enter into agreements with their departments/agencies to work on programmes that have identified specific outputs and outcomes over the life of a project or programme. Countries such as Australia and the United Kingdom have introduced formal contracting and ex-post performance assessment tools as desirable measures for improving the performance of government departments. In measuring the performance of government agencies, the focus and emphasis are on outputs. Achievements could also be measured at the end of the project based on anticipated and actual outcomes that represent value for money. Payment of salaries/allowances could be linked to performance thereby providing incentives for high achievers. This is a trend that has been in vogue in private enterprises for long and most developed countries adopt this approach in the public sector as well to improve efficiency. Political will and willingness to adopt innovative policies of public administration should be forthcoming to change work attitudes, remove existing structural impediments, including out-dated administrative policies and regulations, to move forward in the direction of an outputs/outcomes based public service. R. Edrisinha & A. Jayakody (Eds.) (2011) The Eighteenth Amendment to the Constitution: Substance and Process (Colombo: Centre for Policy Alternatives). R. Mulgan (2004) Public Sector Reform in New Zealand: Issues of Public Accountability (Canberra: Asia Pacific School of Economics and Government & Australian National University). C. Pollitt & G. Bouckaert (2011) Public Management Reform: A Comparative Analysis – New Public Management, Governance, and the Neo-Weberian State (Oxford: Oxford University Press). W. Wilson, ‘The Study of Administration’ (1887) Political Science Quarterly 2 (2): pp.197-222. Australia, New Zealand, the USA, and the UK are currently adopting such measures to improve productivity. Nuwara Eliya Champion Horse Charlatan Silenced Forever! Thanks! Mr Narayanasuwamy for a timely,well-structured article. A paradigm shift is necessary in the manner the public administration is designed and managed in our part of the world. We are still following the British system. Chief Accounting Officers and Accounting officers through audit and to Parliament through COPA and COPE whereas the ministers are kept out. The ministers are accountable only to the people at the subsequent elections. The ministers also should be made accountable and in fact the ministers and administrators should work as a team to achieve results. The administration should not be rule based, but outcome and performance based and the administrators professionalized. Engaging staff on contract on a short term basis to achieve predetermined targets and outcome would be a welcome move to revitalize the public sector. The 19th Amendment even if successful will bring only cosmic changes. It will not change the public sector in any significant way. Let our budgeting be also not input or output, but performance or outcome based. The performers shall be rewarded and the failures punished. The performance should be periodically appraised and follow up action taken. Monitoring and Evaluation should be in built in the system. These radical changes will be possible only by radically changing the entire public administration. For all these things to happen, a paradigm shift is vital. This is a timely contribution particularly in the context of the recently initiated constitution making process. Public service reforms are necessary, going beyond the 19th Amendment, (1) to relieve the public service from political interference (2) to eliminate discrimination in recruitment, promotion etc. based on ethnicity, religion or political partisanship and (3) to make the public service more competent, efficient and effective. The present chapter on the Public Service in the Constitution is pathetic. Political interference particularly since 1972 and discrimination based on language (abilities) even before are largely responsible for the deterioration of ethnic relations, disaffection and conflict. This should be reversed for a meaningful reconciliation. Trilingual public service should be the objective even considering skills enhancement and performance. ‘Public Service Commission’ model, I agree with the author, is old fashioned and New Public Management (NPM) principles should come into play perhaps progressively implemented. However, one challenge would be whether the contract employment (of experts) would succumb to favouritism if not nepotism. Those are working quite well in Australia and New Zealand to my knowledge, but would it be the same in Sri Lanka? If implemented, there should be an independent monitoring mechanism on contracts to prevent corruption. The 19th Amendment is essentially a return to the 17th Amendment. in mattes of public affairs. What is there to assure us that the 19th will be any more effective in practice than the 17th? We have seen how “Good Governance” has performed thus far. Can we still harbour illusions? I am not convinced about the benefits of parcelling out affairs of the state to private contractors. It may save some money with routine jobs. But one cannot contract out matters of policy, planning and administrative responsibility. The only way to keep political meddling at bay is to let the people have a open access to and the right to comment on every affair of the state.